To make a secure online gift, please visit the give website for each fund (linked above). To donate by check please make checks payable to UC Berkeley Foundation, indicate the fund # in the “memo” line and mail to AAADS Program, 506 Barrows Hall, University of California, Berkeley, CA 94720-2570. * Your gifts to this fund will be added toward the establishment of an endowment. If minimum endowment level is not reached by the deadline, these contributions will be expended for the purposes intended by the fund. 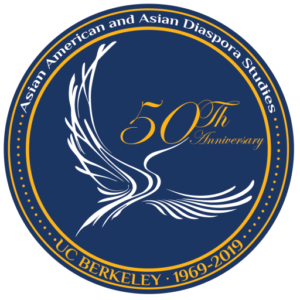 In Fall 2019, Asian American Studies (AAS), recently renamed Asian American and Asian Diaspora Studies (AAADS), will celebrate the 50th anniversary of its founding at the University of California, Berkeley. It was in 1969 that our program, along with African American, Chicano/Latino, and Native American Studies, was established within a new Department of Ethnic Studies. As a result of student and community activism, hitherto neglected experiences and contributions of racial minorities began to be recognized and studied in American institutions of higher learning. Since that time, AAS/AAADS has, through teaching, scholarship, and service, produced and disseminated knowledge about the histories, cultures, and communities of diverse groups such as Chinese, Filipino, Japanese, Korean, South Asian, Southeast Asian, and more recently, Muslim Americans. Degree programs have prepared numerous students to be civic and political leaders, scholars and teachers, and socially aware citizens across the nation. AAS/AAADS is proud of what it has accomplished, but much remains to be done. To ensure our program’s continued growth, relevance, and vibrancy for another 50 years, we are taking advantage of the coming anniversary to launch a fundraising campaign. Please consider joining us for an evening of sharing and community building at the Asian American and Asian Diaspora Studies Advancing Our Legacy 2016 Fundraising Dinner. As a founding member of the AAS/AAADS program and Ethnic Studies department at UC Berkeley, Elaine H. Kim has made immeasurable contributions to both the program and the department. In honor and celebration of the indelible legacy that Professor Elaine Kim has created over the years as a beloved colleague, mentor, and friend, and for her pioneering scholarship and sustained commitment to social justice, the UC Berkeley Asian American and Asian Diaspora Studies Program has established “The Elaine H. Kim Korean American Studies Fund” to support the advancement of Korean American studies. Please consider honoring Elaine Kim on the occasion of her retirement by making a contribution to this fund. 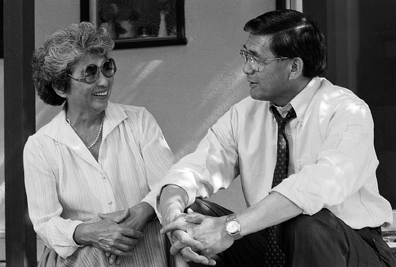 Helen Mineta bettered the lives of those with whom she came in contact in countless ways, as both a teacher of politics and government for more than 30 years and as a civil rights advocate. The daughter of Japanese immigrants, Mineta graduated from San Jose State College in 1938 with dreams of becoming a teacher, but was told by her professors that no one would hire a person of Japanese ancestry for such a position. Undaunted, she worked in the Speech and Drama Department at San Jose State while studying commerce. She remained there until the onset of World War II, when she and her family were incarcerated first at a temporary detention facility at the Santa Anita Racetrack, and then at the Heart Mountain Concentration Camp in Wyoming. Despite these hardships, Mineia managed to leave Wyoming by obtaining a position as an executive secretary in Chicago. Although forced to leave her family behind, she did not forget them, sending her younger brother, Norman, books and other curricula to further his education behind barbed wire. In the years after the war, Mineta worked for one of the oldest civil rights organizations in the U.S., the Japanese American Citizens League in Washington, D.C. She then went on to receive another bachelor’s degree and a master’s degree from the University of California at Berkeley. Just as she was about to begin a much dreamed about position at the United Nations, however, her mother passed away and she returned home to San Jose to help her father. There, she finally realized her goal of becoming a teacher. Helen remained actively involved in the Asian American community, giving lectures on the racism she confronted and overcame during World War II and throughout her life. This fund is created to honor her legacy of compassionate advocacy, courageous leadership, and gentle mentorship for which her family and friends, colleagues, and students are most grateful. The Helen Mineta Fund for Asian American Student Development will provide programmatic support for the promotion of Asian American student development within the Asian American and Asian Diaspora Studies Program at the University of California, Berkeley. 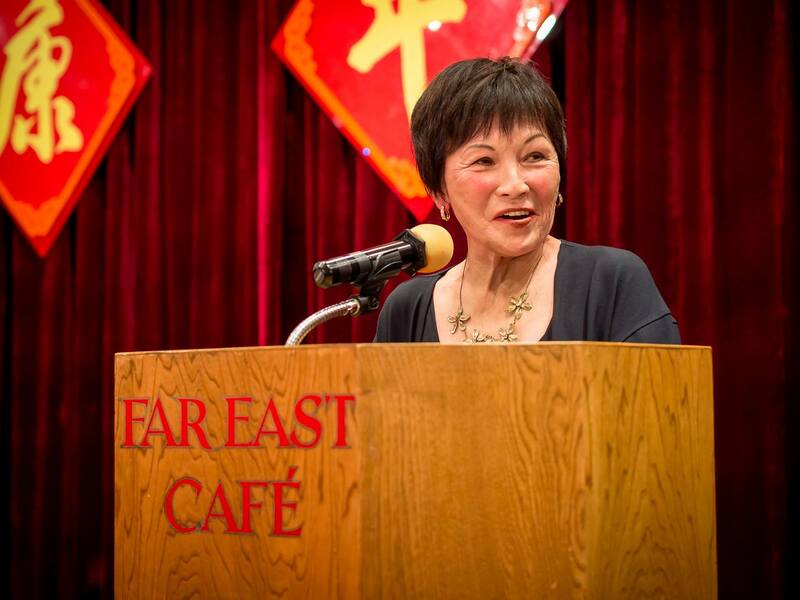 For four generations, the Lawrence Lowe family has been on the forefront of advancing Chinese American civil and political rights in and out of the Chinese American community. Lawrence and Eva Lowe were progressive leaders in the first half of the 20th century while Dr. Rolland C. Lowe, M.D., and former president of the California Medical Association, and his wife, Katherine, were leaders in health care and philanthropy in the second half of the 20th century. Their three children, Larry, Randy, and Yvonne, have been active in the Asian American communities in the 21st century. For three generations, the Lowe family has direct links with Cal. AAADS is proud and pleased to announce that the Lawrence Lowe Family Foundation will match, dollar for dollar, up to $150,000 toward the establishment of the Endowment for Chinese American Studies in AAADS. The endowment will support teaching and research in Chinese American studies at Cal and strengthen the Chinese American component of the curriculum of Asian and Asian American Diaspora Studies in years to come.